Congress president Rahul Gandhi Friday accused Prime Minister Narendra Modi of trying to dilute the Right to Information Act. 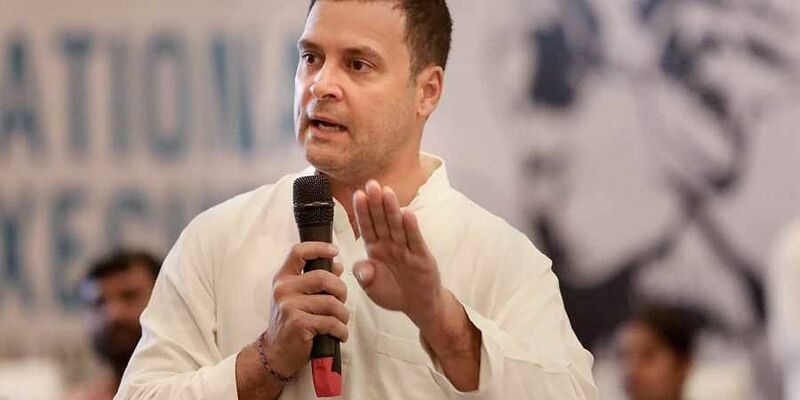 NEW DELHI: Congress president Rahul Gandhi Friday accused Prime Minister Narendra Modi of trying to dilute the Right to Information Act, and said his party would resist any attempt to weaken the legislation. On the 13th anniversary of the commencement of the Act, Gandhi took to social media to claim that the current BJP government at the Centre has been systematically derailing the legislation since coming to power in 2014. "PM Modi is seeking to dilute the RTI Act, bringing citizens out onto the street to protest. The Congress party will resist any attempt to dilute the RTI Act and lends its support to all those organisations and individuals who are standing shoulder to shoulder in protest," he said in a Facebook post. He said the RTI Act is a "path-breaking legislation" brought in by the Congress-led UPA government in 2005. "In the UPA years, the RTI was a powerful instrument in the hands of citizens, forcing the government to be transparent in its decision-making," he said. "Unfortunately, since 2014, the RTI has been systematically derailed by the BJP government. Lakhs of RTI queries remain unanswered. When the UPA was in power, the RTI was a synonym for transparency that struck fear in the hearts of the corrupt. Not anymore," he wrote in the social media post.